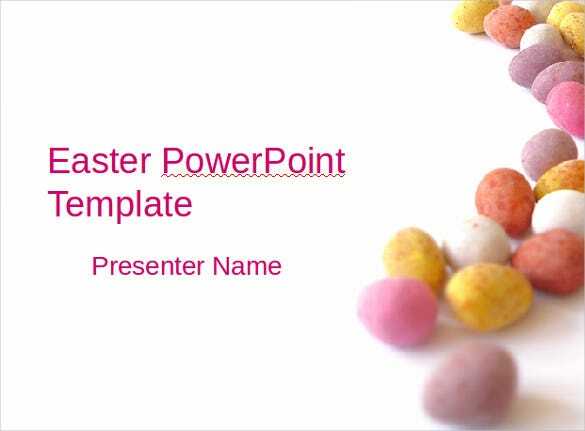 12+ Easter PowerPoint Templates – Free Sample, Example, Format Download! Easter is the time to spread good wishes and happiness with your family members, relatives, employees and clients. 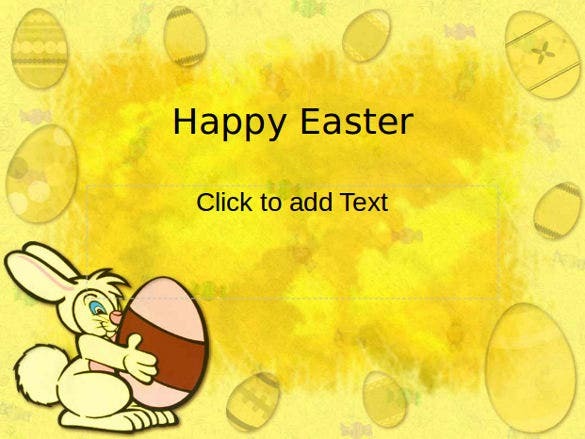 But rather than sending a simple message or email, it is more thoughtful to send them a mail with an Easter PowerPoint template in it. 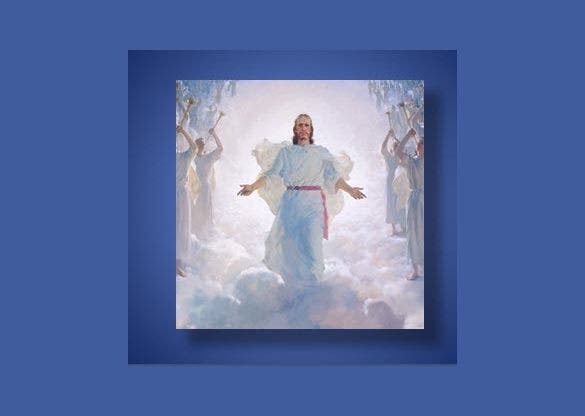 The colourful templates with a personal message along with it, is sure to be appreciated by the receivers and can be an excellent way to begin your Easter. You may also like Holiday PowerPoint Templates. 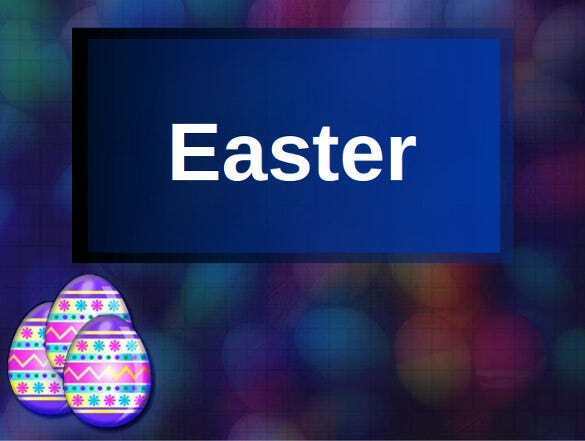 There are many Easter PowerPoint templates available on this page for free and you can download them by simply clicking on the Download button. Once downloaded, just open the downloaded PowerPoint file and you will have your template on the screen. After this you can simply edit the text as per your requirements. You can add a title in the template, a small message, name of the receiver, etc. to add a personal touch to it and ensure that the receiver does find it unique and attractive. You may also like PowerPoint Templates. 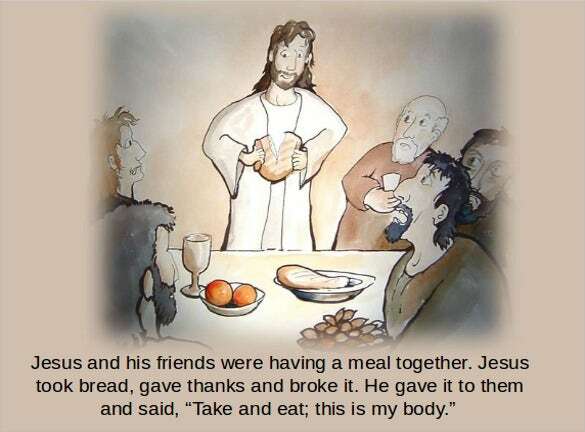 sermons4kids.com | There are a number of stories associated with Easter and Jesus Christ. These attractive templates convey the story with the help of images and you can also add your private messages in them. 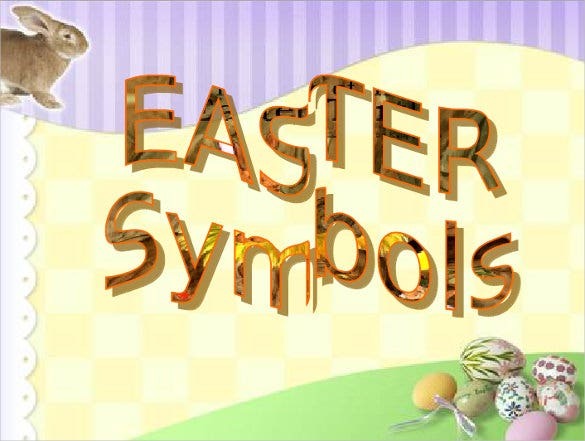 A story that could signify the actual meaning of Easter will definitely do an excellent job of further enhancing the Easter spirit of the receiver. Moreover, these Easter PowerPoint templates will also be cherished by kids. 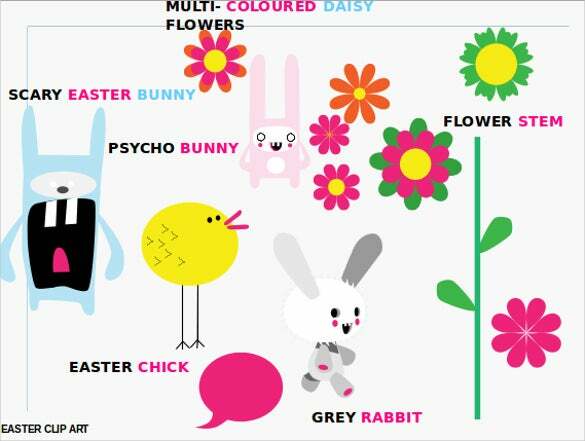 etwinning.net | These templates with colourful backgrounds include Easter symbols, like eggs and bunnies. While the symbols are on the corners, the center area is editable and you can add your wishes and message here. You can choose different fonts for writing the message to further make the template look attractive and personalized. indezine.com | As we all know that nothing represents an Easter better than the egg-laying bunny. 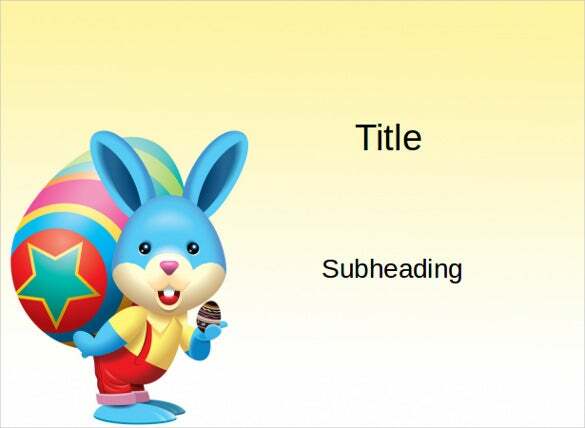 With a cute picture of an Easter bunny, you also get to edit the text in the template to personalize it. The colourful bunny with a basket full of Easter eggs along with a personal message from you will surely be loved by your family members. Moreover, you can also send it to your clients and employees. presentationmagazine.com | Apart from bunnies, it is the colourful eggs that symbolize Easter. The colourful background, Easter eggs and space to write your own message will surely be an amazing choice for your employees and clients. Wishing clients on festivals, like Easter is a great way to improve your business relationships and for the employees, it is great way to show your respect for them. 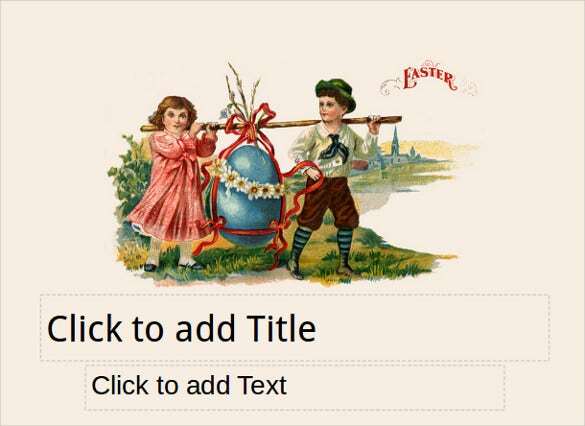 The time when people used to send simple messages or mails to people for wishing Easter is long gone. 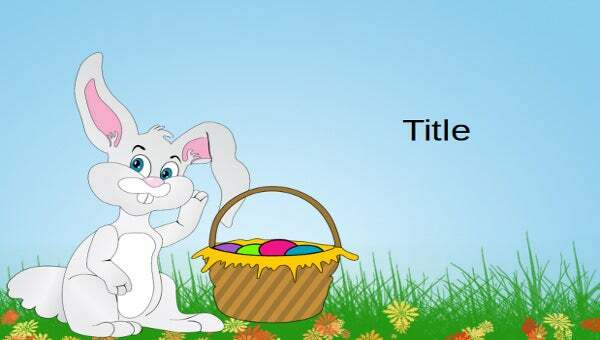 These attractive Easter PowerPoint templates don’t just look unique but also have the ability to pass your wishes in a much better way. You can send them in mails to your family and professional contacts and they are sure to appreciate your thoughtfulness. Moreover, using these templates is extremely simple. Download them, add your wishes and message and that it! Your beautiful Easter template is ready to be sent. Easter is the time to forget old disputes and begin a relation on a new leaf. 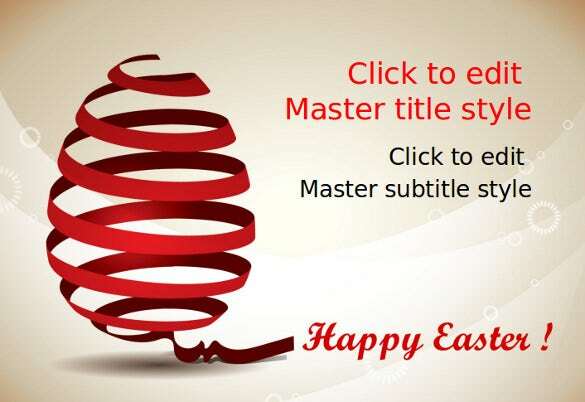 And these Easter PowerPoint templates will allow you to just do that in a unique manner. With many different templates available on this page for free, you can choose any particular model or send different templates to your personal contact and professional contacts. Make sure that you add your personal title and messages in them before sending as the personalization further adds to the uniqueness of these templates.